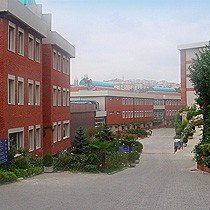 MEF International School (MEFIS) is a private international school located in the Ortaköy  district of Istanbul, Turkey. It was established in 1998 by Dr. Ibrahim Arikan. MEF International School, provides a fully authorized International Baccalaureate (IB) Primary Years Program (PYP) & IB Diploma Program (IBDP) in the secondary school, is structured to provide quality education to students from ages 3 to 18. Fine if you don't want to work that hard. Istanbul is an awesome city to live in. The staff were a great bunch. If you are looking for somewhere easy, and low pressure you would be fine here. The management didn't seem to have any real control over decisions made and the staff were not supported in providing discipline. This was a long time ago and things may have changed by now. MEF would often take on students that couldn't get into other schools in the area. Not necessarily a bad thing, although as it is a fee paying school as they say "money talks". Bullying was an issue. Great for a year or so, enjoy life outside of school, don't expect to save any money, and you can get away without working too hard if that is your thing. Istanbul is a really interesting place to live, and when I was at the school, there was a real drive for improvement. It's a small school, and a great place to spend a few years.